This portable version of the Action Pak contains all 70 creative action words in an easy to hold, playing card size deck. 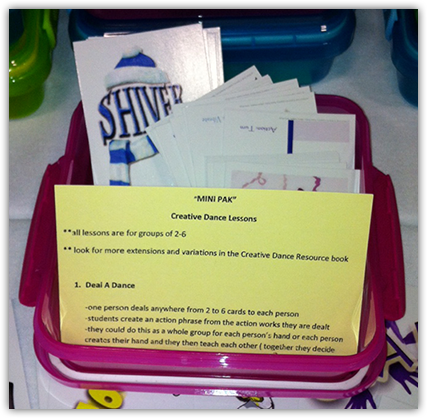 The Mini Pak also contains 4 easy to follow games for your classes. Use this as an extension to any of the lessons found in our books, or as a stand alone, creative dance centre. It's the perfect resource for small group projects, supply teachers, and drama games. It comes in a sturdy, colourful, plastic container.